Today has been chosen to mark the 46th anniversary of the infamous Roe v. Wade/Doe v. Bolton Supreme Court decisions. These decisions were handed down on January 22, 1973. 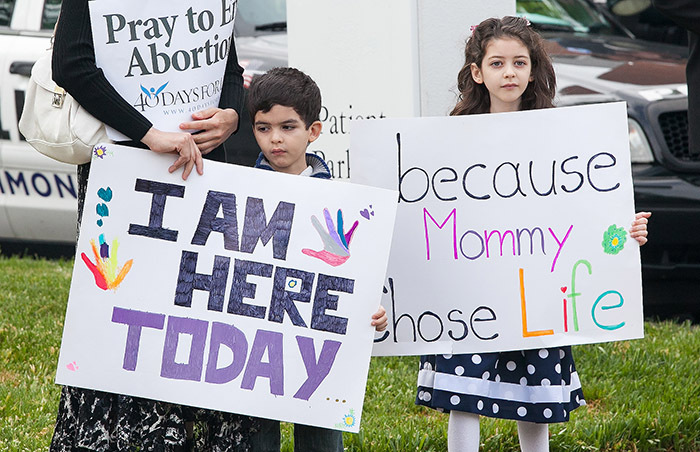 Thousands upon thousands of pilgrims will descend on the nation’s capital today to mourn the deaths of the millions of children who have died by abortions of every kind, including clinical, chemical, medical, and surgical. But then tomorrow will come and the cycle of death will continue, getting worse and worse with the passage of each year. Gallup polling on American attitudes toward abortion over the years reveals that there are fewer Americans today who are against even some abortions than there were in 1976. And yet, according to a new poll conducted by Students for Life of America, the discovery that millennials are interested in limiting abortion and taxpayer funding for abortion are supposedly signs of encouragement. What the latest poll teaches us is not that young Americans are more convinced that abortion kills babies than their parents, but that abortion is still viewed by far too many as nothing more than a social issue. As long as aborting a child is put in the context of laws, politics, or court decisions, the humanity of each individual human child prior to birth is at the bottom of the totem pole of consideration. This is not good news. And it is not just the latest poll data that is disturbing. There is more. In 2018, the Knights of Columbus asked Maris to conduct a survey on “Americans’ Opinions on Abortion.” In that survey it was reported that only 18% of pro-life Americans believed that abortion should never be permitted, regardless of the circumstance. In other words, for 82% of Americans, abortion is not murder. If this were not the case, Americans would not approve of a single killing. According to recent polls 82% of Americans, including self-proclaimed pro-lifers, think abortion is not murder. If this were not the case, Americans would not approve of a single killing. American Life League embraces, as we always have, the three-pronged strategy for getting maximum protection for every preborn child. We teach the simplicity of the message to every living person. Because the fundamental principle of human personhood transcends the polling data, the sound bites, and the quirky slogans, our message is clear. Every single human being is a unique individual whose personhood must be acknowledged if we are ever to see the end of aborting our future in our great nation. Pray: The rosary is our best weapon. Professor Charles Rice wrote: “Our Church has always militantly protected the rights of the defenseless using the weapons of prayer and penance—especially the rosary.” Remember, these are God’s children. He is the author of every single preborn babies’ life, not Congress, not anyone on this earth. Teach: Be the messenger of good tidings to others, especially those who have yet to think of the preborn child as an actual person—an individual member of the human family who is as precious as any one of us who is born. The Baby Steps 4D ultrasound YouTube video is a great place to start. Get involved: Don’t just sit there; do something. Start a Bringing Jesus to Planned Parenthood through Mary activity at your local abortion mill. Public sidewalks are a good location for witnessing in prayer. Pass out leaflets or sponsor the placement of a Celebrate Life Magazine box in the back of your Church so others can read the good news. Sign up for our e-mail lists. Get out there and spread the word. American Life League has spent years working in this vineyard, and only God knows how much longer it will take to change hearts and minds. However, no matter how long it takes, each one of us has to answer only one question today and every day: Do you believe in the sanctity of the life of every human being from his biological beginning? Look at those poll results again. Where do you stand? You are either part of the problem or part of the solution. We hope you define yourself in the latter category, and, if you do, the babies need you now. Remember this wonderful verse from Psalm 118:5: “In my distress, I called to Yahweh, he heard me and brought me relief.” God will show YOU the way He will use you to save His babies.